The Name of the institution is Rajshahi Krishi Unnayan Bank: As the largest development partner in the northwest region Rajshahi Krishi Unnayan Bank aims at overall development of the farmers and all the sectors and sub-sectors of agriculture in this region. Besides catering to agricultural credit, financing agri-business and agro-based industries and poverty alleviation programs the bank performs commercial banking functions. Bangladesh is agriculture based country from the very beginning. Most of the people depend on agriculture. From British period to date farmers of this country were dominated in various ways. To save the farmers from village money lenders British Govt. took step in special program in order to disburse the agri-loan to the farmers in 1905. Therefore, in 1932 India-British Govt. took a step for the socio-economic development of the small and marginal farmers of Bengal to disburse agri-loan. The Government of Pakistan period (1952) established a financial institution named “Agricultural development finance corporation” (ADFC) on account of disbursement of loan in agricultural sector. Feeling the importance of agri-production and agri-loan the Pakistani Govt. established another bank namely “Pakistan Krishi Bank” in 1957. After liberation Bangladesh Govt. denoted the Pakistan Krishi Bank as Bangladesh Krishi Bank (BKB) in 1973 according to the Presidential order 27. As Bangladesh is an agro-based country, the demand for the agri-loan of Krishi Bank bas been increased highly. To manage agri-loan it become very difficult for Dhaka based head office of Krishi Bank in the remote areas of the country. For this reason the government wanted to decentralize the Krishi Bank in the divisional areas. The people of the northern areas of Bangladesh are lagging behind in all respects than the other parts of the country. That is why in 1986 according to the president’s ordinance no 58 Rajshahi Krishi Unnayan Bank was established. 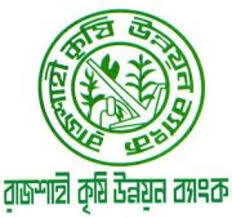 From March 15, 1987 Rajshahi Krishi Unnayan Bank started its functioning. a) To provide credit facilities for all kinds of agricultural and agro- based economic activities keeping in view the needs of small and marginal farmers. b) To earn a normal profit for meeting the operational expenses, building of reserve and expansion of activities to cover wider geographical area. c) To extend counseling and advisory services to the borrowers/ entrepreneurs etc. in utilizing credit facilities of the Bank. As the largest development partner in the Northwest region, Rajshahi Krishi Unnayan Bank aims at overall development of farmers and all the sectors and sub-sectors of agriculture in this region. Besides, catering to agricultural credit financing, agro-business and agro-based industries and poverty alleviation programs the bank performs ancillary banking functions. A seven-member Board of Directors is entrusted with the responsibility of policy formulation for promotion of growth in agriculture leading to economic development of the country through agricultural credit support. The government appoints all the directors of the board. Also an executive committee constituted by the Chairman and two other directors including the Managing Director is there for taking emergency decisions. The Managing Director is the chief executive of the Bank. The Head Office of the bank is stationed at Rajshahi. The branch-network comprises 349 branches including one in Dhaka. Five zonal and thirteen offices. The bank has a training institute located at Rajshahi. Total workforce of 4117 as on 30-04-2004 was composed of 2008 officers and 2109 other staffs. Regional offices stationed in district headquarters control branches under them. There are independent regional audit offices for conducting regular audit in branches as well as in regional and zonal. ° Administration and Accounts Division. ° Research and Development Department. ° Budget and Expenditure Control Department. For each division there is a general. Who is the head of that division? The zonal offices are headed by Deputy General Managers while Regional offices by Assistant General Managers. The functions of the Audit offices are to keep the branches regular. The Audit offices accomplish auditing of the branches on half-yearly basis Regional Audit offices are directly controlled by the audit and Inspection Department of the head office and by no way influenced by the local Regional on zonal offices. The only training Institute at Rajshahi Imparts training to the junior and mid-level officers and other staff according to the annual training program designed on such subjects of professional interest as management of credit and accounts. Commercial banking, audit and inspection etc. 1) Authorized capita : Tk.150 core. 5) Loan disbursement : Tk.676.73 core. 6) Recovered loan : Tk.626.02 Core. The main objectives of maintaining the accounting procedure of Rajshahi Krishi Unnayan Bank are to achieve the following goals. 3. To supply necessary information for monitoring the bank activities in this cash transaction, other transaction are recorded in the books of accounts under the double entry system. In this bank, generally two types of books are used. Rajshahi Krishi Unnayan Bank is the largest source of agricultural credit in Rajshahi division. Besides supplying agricultural credit, the bank extends its credit facilities to employment and income-generating agro based industrial and commercial activities, diversified of farm rural economic activities and poverty alleviating programs, a part from these, the bank. Rajshahi Krishi Unnayan Bank has been playing an active role in the rural economy for serving the purpose of achieving cherished goal of national economic development through agriculture development. Deposit is the most important source of ready to invest fund. The Bank initiated a special drive for collecting low cost deposit. A significant number of people in northwestern Region are under employed with near to zero marginal income. 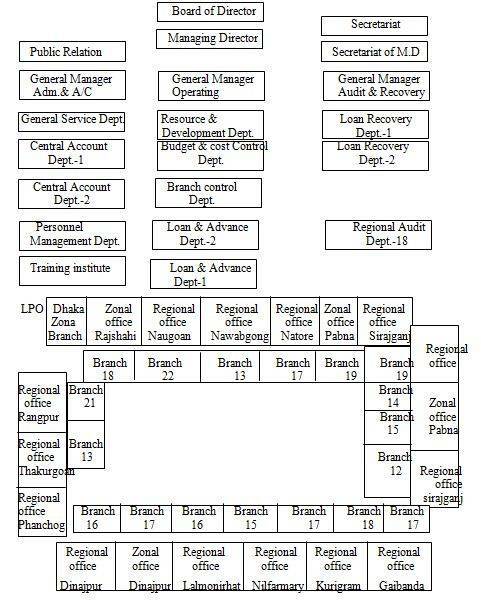 Out of total 349 branches 208 are located at union level. As such, the bank continued small savings schemes suitable for this section of people and tried hard for hunting institutional deposits. To its customers Rajshahi Krishi Unnayan Bank gives opportunity to open an account like other banks. Observing whether the application form is properly filled in. Getting an preserving specimen signature of a customer. Taking initial deposit in cash. Special types of account: Basically a person whose age is 18 years or more can be competent to open an account with the bank. But there are some special types of account holder like joint account, minor account illiterate person account, blind person account, Deaf and dumb account etc. The person who is still bankrupt. The person whose mind is unsound. The person who is totally mad. 1. Current account: From this account any amount is deposited and drawn in any time of office hours. There is no interest on current account. Loan is sanctioned based on it. This account is opened with a recommendation Tk.1000. Total amount of current A/C in of Rajshahi Krishi Unnayan Bank is Tk 7050000 on 27th February, 2004. 2. Savings Account: Savings accounts opened for the customers except companies or firm and co-operative society. Money is withdrawn 2 times a week and deposited any time of office hours from this accounts Tk.50 is required to open this account. There is 4% interest on saving account. Total amount of saving A/C in of Rajshahi Krishi Unnayan Bank is Tk.9388000 on 27th February, 2004. 3.Short Term Deposit Account: Short- term deposit account is opened for company/firm/government administrative body. This account is operated like current account. If 7 days written notice is placed to the bank in every withdraw, then the bank gives 2.5% interest on S.T.D. In the present time the total amount of STD A/C in of Rajshahi Krishi Unnayan Bank is Tk.3680000 on 27th February, 2004. 4. Deposit Pension Scheme (DPS): In this Savings Scheme a person is given an opportunity for getting an attractive amount at the end of the specified term. The size of monthly installments is Tk.100, Tk.200, Tk.300, Tk.400 and Tk.500 which is to be deposited within 1st week of a month. This scheme is not operating in Rajshahi Krishi Unnayan Bank rather the old account is continuing. There is 15% interest of D.P.S. 6.Fixed Deposit Receipt (FDR): This is a deposit Scheme where an instrument is issued for the full amount payable after a specified period against deposit of a certain amount. Total amount of FDR in of Rajshahi Krishi Unnayan Bank is Tk.3372000 on 27th June, 2004. DD is the most popular instrument of remitting fund. It is an order to pay money drawn by one branch Payable to another branch on demand. DD is issued in against at Tk.15 commission up to Tk.1000. When the limit exceed commission amount increased in a certain rate. This branch transfer’s money another branch of this bank in another place in against of commission money of this security paper has to be transferred to an account of another branch. Here the bank commission is Tk.1.5 per Tk.1000 and the postal charge is Tk.10. It is the quickest method of remitting fund from one place to another. In this procedure no instrument is sent to the paying branch. Only message is sent over telephone or telex and the paying branch makes payment after getting message. Due to lack of technology this branch cannot operate TT. It is a written document. This PO can be encased on that branch from where it is issued. Several supplier organizations use this PO and here no account is needed to open with bank. It is issued locally. Rajshahi Krishi Unnayan Bank becomes popular by following ways above. Pure or Clean Cash Book. When the vouchers are closed the accounts are written in the pure cashbooks. It may be either deposit or expense. The transactions of each bead, which have been occurred, are written in the specific age of the cashbook under a specific head and debit and credit total are determine. Thereafter, total of the each head is written in the right page of the clean pass book. But in the cash book the closing balance of the previous day is shown as initial balance for the next day. Then the closing balance is determined for that day. The transaction is carried out to the general ledger to find out the mistake of the clean cashbook. General ledger is not carried out in different name but come in main head. Ledger credit and debit balance must be equal. The debit and credit balance of various accounts makes general ledger abstract. The debit and credit balance of the accounts are maintained in the abstract in the debit and credit side respectively. Since the double entry system is maintained therefore its debit and credit balance are equal. Debit Voucher: It’s used for expenditure. Its color is white. Credit Voucher: It’s used for received. Its color is green. Account to another in case of inter banking, its color is yellow. Debit and credit voucher is used to file or in books. Transfer voucher is used in the bank. At first those transactions are maintained in this cash scroll by the authorized officer, which occurred every day. Thereafter the cashier maintained those transactions in daily transaction register. For this official member are followed. Rajshahi Krishi Unnayan Bank is a specialized bank and its main objective is to improve the agricultural production. For this reason it provides basically agricultural credit. It is a commons lending with this arrangement the drawn is allowed to borrow money up to a certain limit. But the borrower is not required to withdraw the sanctioned amount at once. He can draw money when he requires and also can put back money onetime. Interest is charged only the amount withdrawn not on the total amount sanctioned. Some special programs introduced in the previous years continued in 2002-2004. Those programs and some area based special programs undertaken by the bank cited below. Two foreign aided credit programs namely SECP (Small Enterprises Development Credit Project) & NCDP (North- West Crop Diversification Project) were introduced during the year 2000-2004.  Enhancing self-motivation of the bank employees.  Introducing need-based and output oriented training. The bank has been earning profit after introduction of Rajshahi Krishi Unnayan Bank reform program in 1999. The bank under took a mid-term evaluation of the Reform program and on the basis of its recommendations launched a long-term perspective plan to mitigate the total outstanding loss of Tk 1750 million within nine years (2001 through 2010). The program envisions offsetting the aforesaid amount of loss and turning the bank to be a profit making enterprise in real terms by the year 2010. To start with (2001) Rajshahi Krishi Unnayan Bank introduced PARL (Participation of All for Recovery of a Total Loan) and achieved desired success. Develop socio-economic condition of the Northwest region of the country by providing financial assistance to the farmers and enterprises. Achieve self-dependence within nine years by practicing profit oriented banking business. Information is a powerful weapon by which management process can be accomplished. Management information is for development banks and so also Rajshahi Krishi Unnayan Bank for effective monitoring, supervision and control. Branch is the hub of all activities and operations such as: loan disbursement, loan supervision. Loan recoveries and deposit mobilization. The activities and operations of the branches are most important indicators for management of the bank. Besides, data are required for reporting to Bangladesh bank, assister organizations, Government and international banks / Agencies. (a) Loan ledgers, (b) General ledger, (c) Subsidiary ledger, (d) Statistical Registers, (e) Loan Sanction Register, (f) Loan Payment Resister, (g) Loan Recovery Register, etc. Under the government approved five year computerization program the Bank installed a Local area network (LAN) comprising 20 workstations at head office in the year 2000-2001. The bank installed e-mail connection at head office and other regional offices in the year 20012002. During 2002-2003 the bank opened its web site www.Rajshahi Krishi Unnayan Bank-bd.org and stepped into the cyber world.